Golf is a rotational sport. This means that for us to make an efficient golf swing, our bodies need to rotate. 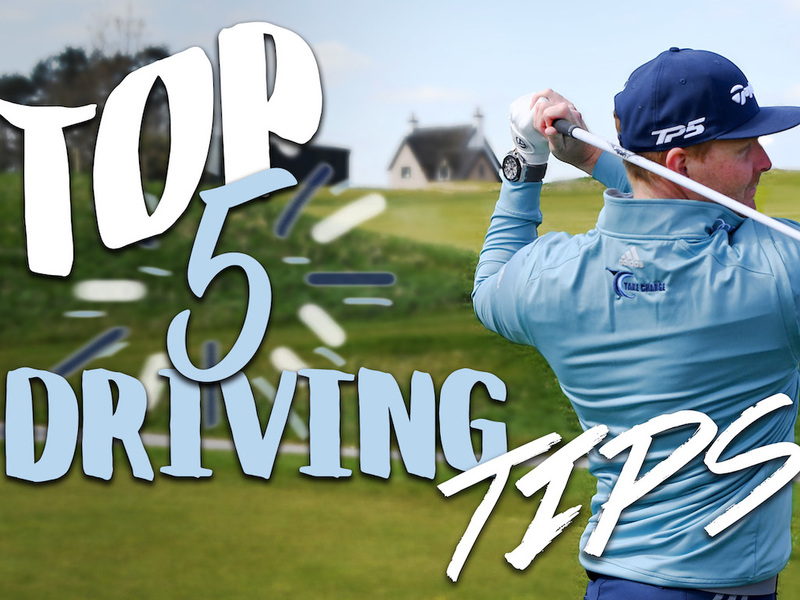 By rotating our body in our golf swing, we are able to utilize our body’s energy so that we can generate more club head speed that will translate to increased distance. Even though it is our arms that are swinging our golf club, it is in fact our body’s rotation that is generating the power and the speed to swing our arms and the club. So I suppose it would be somewhat logical to think that if we just turned our bodies faster, then we would be able to generate more speed and hit the ball further, right? Well, even though that presumption is not entirely inaccurate, it is unfortunately not entirely that simple either. For you to understand what I mean, I need to go into more depth and give you some basic understandings of how the human body moves biomechanically in the golf swing, so bear with me. In an efficient golf swing, our body doesn’t make just one movement turning back and through, but rather it is divided up into different segments that turn at separate moments in the swing. When done efficiently, our body will work in a pattern where one segment of our body reaches peak speed then slows down abruptly so that it can transfer energy to the next segment of the body, and as that part reaches peak speed then it too has to slow down abruptly so that it too can transfer its energy on to the next segment — and so on and so on. When firing correctly, this amazing ability to leap frog energy from one segment to the next is what’s called the kinematic sequence in the sports science world. Now in order for us to turn these segments faster, they must have the ability to slow down faster. One of the major reasons that we aren’t able to just rotate faster naturally in our swings is because we don’t have the ability to create the segmental stabilization needed so that we can slow down faster. And when we don’t have efficient stopping power, then we lose control of our speed — and that can lead to serious injury. So in order for us to prevent injuries, our brain simply puts in a breaking system that prevents us from moving fast enough to cause any damage. My good friend, mentor and colleague Jason Glass from the Tour Performance Lab in Vancouver uses this great analogy of a putting a race car engine in a Honda Civic. The Civic’s chassis simply won’t be able to handle the torque and the loads from the power of the race car engine, so it will explode under the stress’s of explosive acceleration and abrupt cornering. The same would happen if our body had all this speed, but not the strength and stability to support it in our golf swing. In order for our brains to release the safety brakes — so that we can make a faster golf swing — we have to convince it that we have sufficient stopping power so that we won’t self-destruct. How? We simply have to build a chasis strong enough to control our horsepower, and one of the most efficient ways to do that is by strengthening our body to resist rotation first. 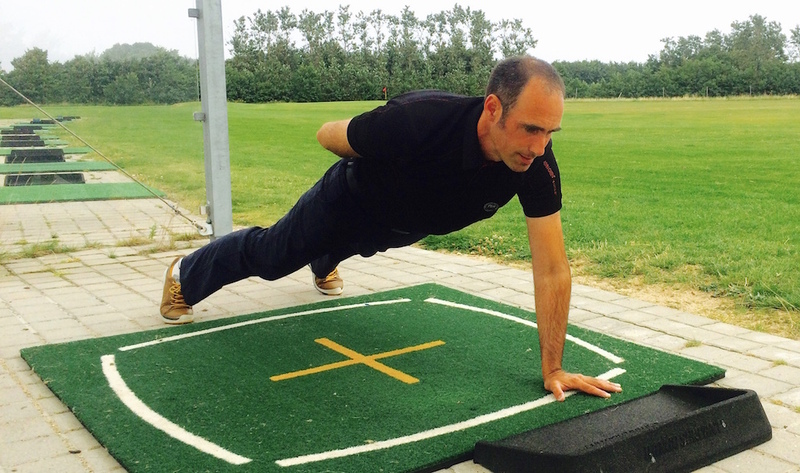 This is where anti-rotation exercises are an excellent way to strengthen the appropriate muscles that are used to stabilize your body in your golf swing. Anti-rotation with a single-arm plank. Take, for instance, a traditional core strengthening exercise such as the plank, which involves holding ourself in the top of a push-up. Now, if we remove one of our arms from the hold, we will become less stable and our body will want to fall over in the direction of the arm we’ve lifted. So to prevent our body from falling over, we will need to activate and recruit the necessary muscles to help stabilize our body. By training these muscles in different variations, we are building our body’s breaking system up so that we will have the ability to improve our segmental stabilization in our golf swing for us to transfer energy more efficiently from one segment to the next. This allows us to move faster and create more clubhead speed. 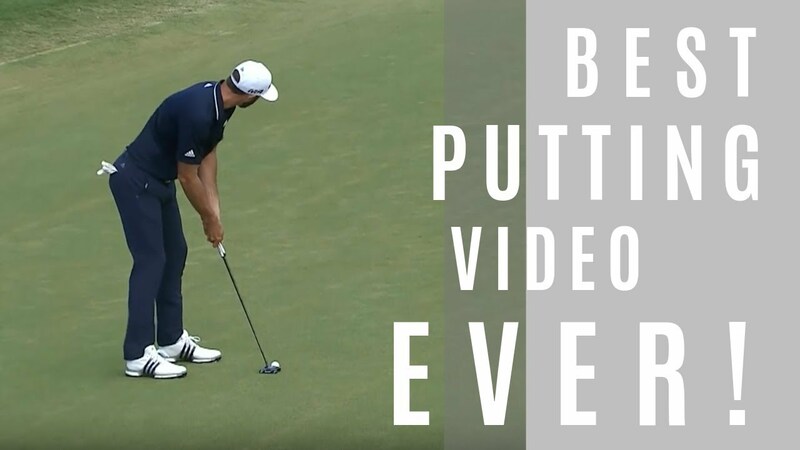 The video above gives you a few variations of how you can train anti-rotation so that you can increase distance in your golf game. Enjoy. Adam,You are right with the kinematic sequence :too many golf instructors teach you “positions “and not how to move in the proper sequence .Great SAM SNEAD siab that a long time ago :he was a self taught golfer who found out by himself in hitting stones with a stick .Now who can teach you the right kinematic sequence .The only one who does that teaching today is PAUL WILSON with his IGNITION GOLF site . Great article but bad Honda Civic analogy. There have literally been thousands of Civics with race car engines installed that have not “blown up”. I wouldn’t trust a “golf professional” with a huge stereo speaker like that. It looks like a trash bin. This article started so strongly and finished so flat. 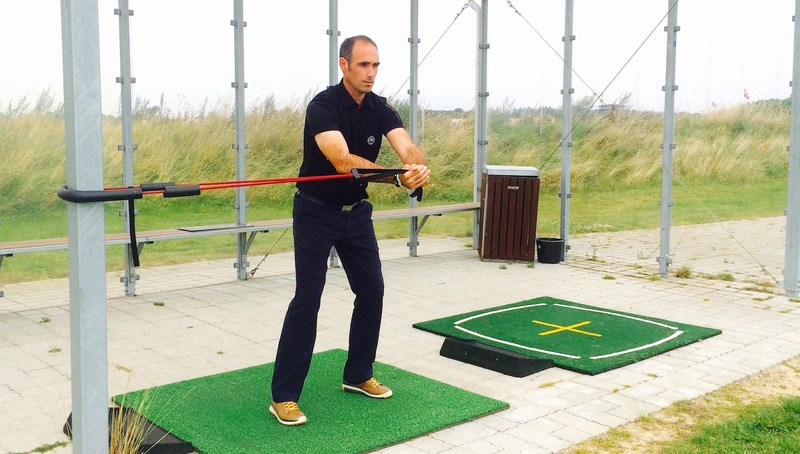 You are right on about the kinematic sequence but a little strengthening will do little for your swing. How about you offer people a way to actually FEEL which muscles should be working and in what order. Then they can do what you are speaking of. Telling people in any field to get stronger or more stable won’t help them learn a complex skill and golf is definitely a complex skill. Not sure I agree. Golf is a complex skill played at a pro level. But if you want to play to a 10 handicap, not so much. 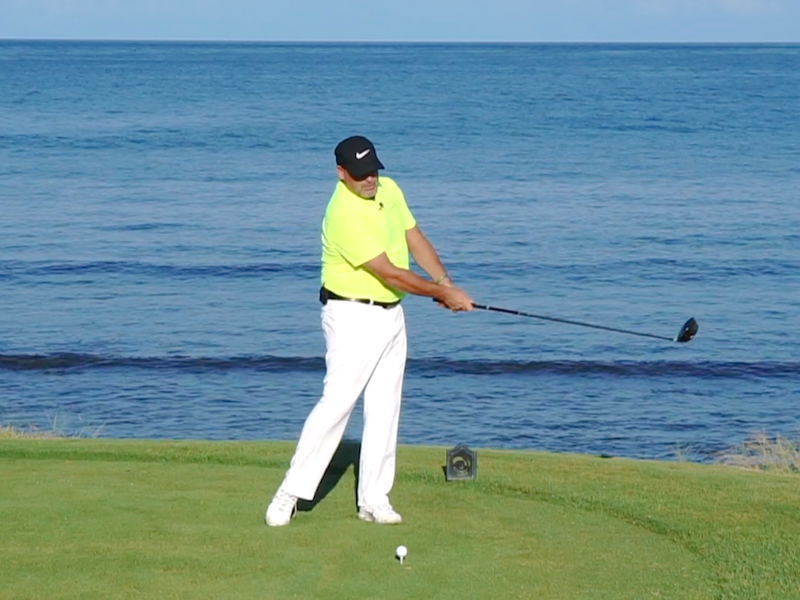 Golf instruction has mystified and complicated the swing so much that it seems complex. There are a few out there that have a simple approach that is also repeatable. Ron Sisson, Tom Pezzuti, the Graves Bros. to name a few…. Getting fit does help, but for me flexibility is more important than gaining strength. I’ve gained swing speed by getting more flexible, not stronger…. Adam, great article. What is the subject of the new book due out this year referred to in your bio? Jordan, thank you for your interest. If your interested in following the progress with my new book, then please follow it on facebook under the title/name: My Mind Body Golf.